At its Tech World gathering in San Francisco on Thursday, Lenovo and parent company Motorola unveiled several new mobile products and sent some familiar lines packing. 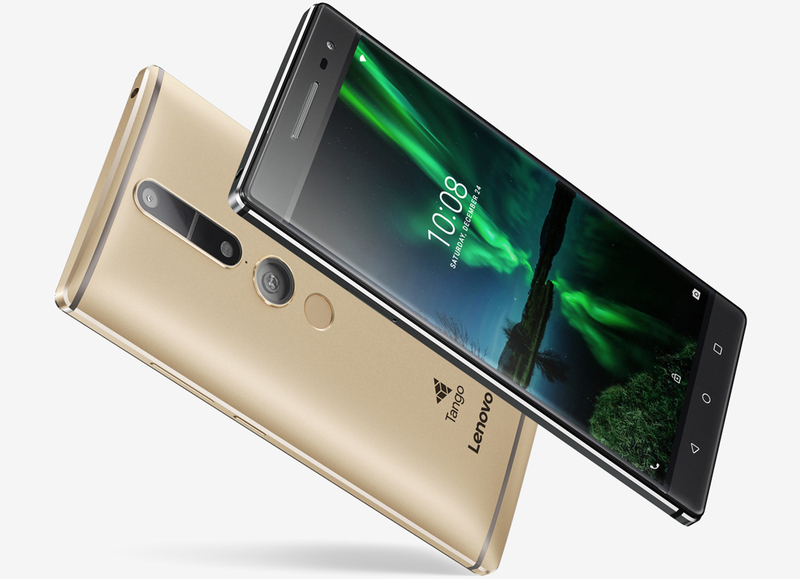 One of the more interesting products is the Lenovo Phab2 Pro, described as the world’s first Tango-enabled smartphone that delivers augmented reality experiences (Project Tango, Google’s 3D mapping technology, is now simply known as Tango). The handset features a colossal 6.4-inch Quad HD (2,560 x 1,440) IPS curved glass display that pushes the bounds of tablet territory. It's powered by Qualcomm’s quad-core Snapdragon 652 SoC alongside 4GB of RAM and 64GB of local flash storage (expandable via microSD card slot). Around back, you’ll find a 16-megapixel camera and a fish-eye camera as well as depth and motion tracking sensors that – combined with additional sensors inside the phone – are instrumental in making Tango tick. Lenovo says there will be roughly 25 AR apps available at launch with plans to grow that to around 100 by the end of the year. Other creature comforts include dual SIM slots, a fingerprint reader, a front-facing eight megapixel camera with f/2.2 aperture lens, dual-band Wi-Fi, Bluetooth 4.0, triple-array active noise cancellation and Dolby Atmos audio technology – all powered by a 4,050mAh battery. It’ll ship running Android 6.0 Marshmallow, we’re told. Lenovo will offer the Phab2 in three different models with the Phab2 Pro outlined here being the flagship (it’ll also be the only one with Tango capabilities). Look for it to land unlocked in the US this September priced at $499 in your choice of gray or gold aluminum finish.